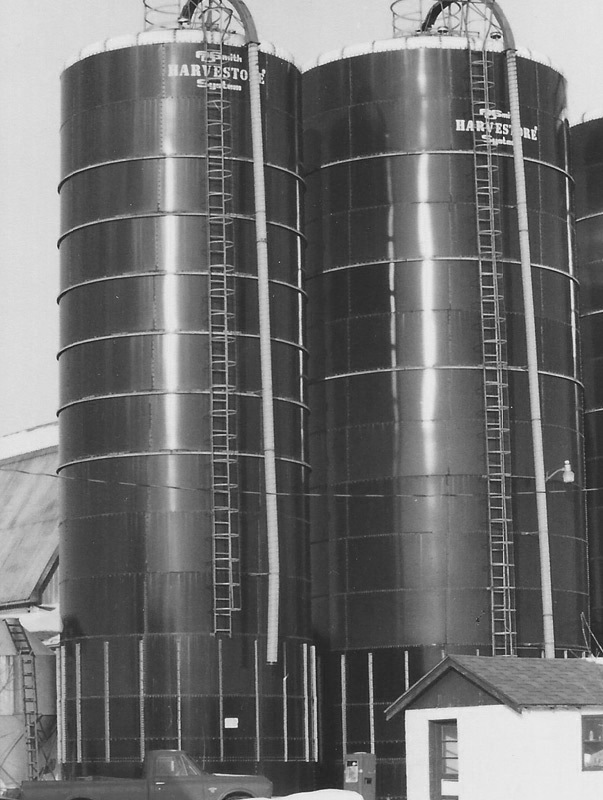 The towering blue Harvestore silos that are seen dotting the rural landscape today began with a complex invention based on a simple idea from the A.O. Smith Company. 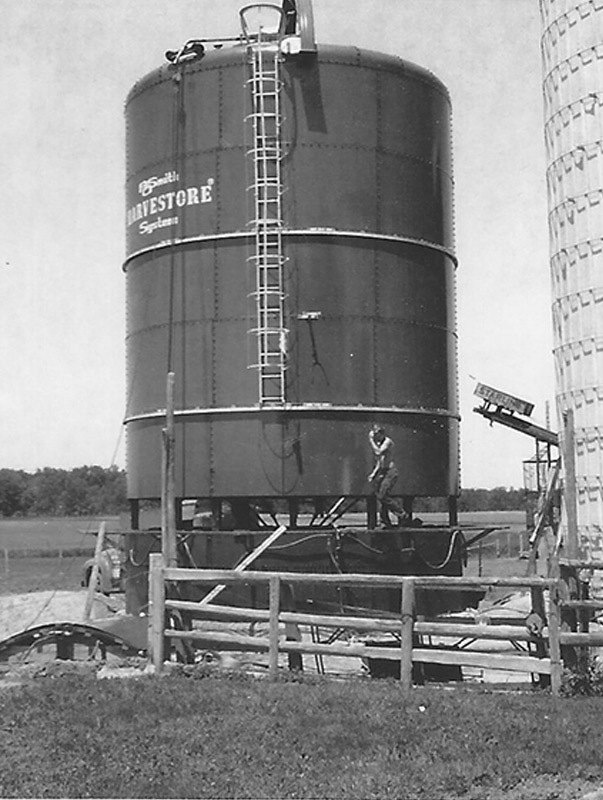 Originally designed as bolted steel beer vats, a farmer had the clever idea that if tipped up like the typical silo of the ‘40’s, the oxygen-limiting capabilities of the structure, could greatly benefit the feed value of a farmer’s crops. This simple idea changed the agricultural industry forever and Harvestore became a standard in advanced feed. Following the lead of A.O. Smith Company, Foxland Harvestore, Inc. opened in 1976 as a Harvestore dealership in the Fox River Valley region of Wisconsin. It started under the ownership of Erv VanAsten, Larry Sharron and Ken Kabat. Mr. VanAsten later sold his interest and Eugene Rameker joined the ownership team. Subsequently, Mr. Rameker also left the ownership group leaving it to Mr. Sharron and Mr. Kabat. Foxland Harvestore’s first years where almost exclusively dedicated to the Harvestore brand. 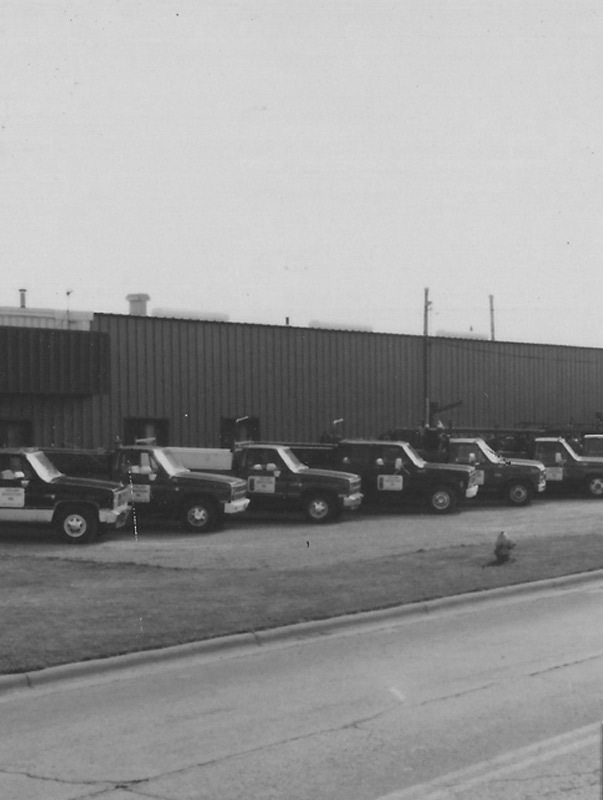 The industry flourished and a select group of dealerships including Foxland Harvestore led the way. 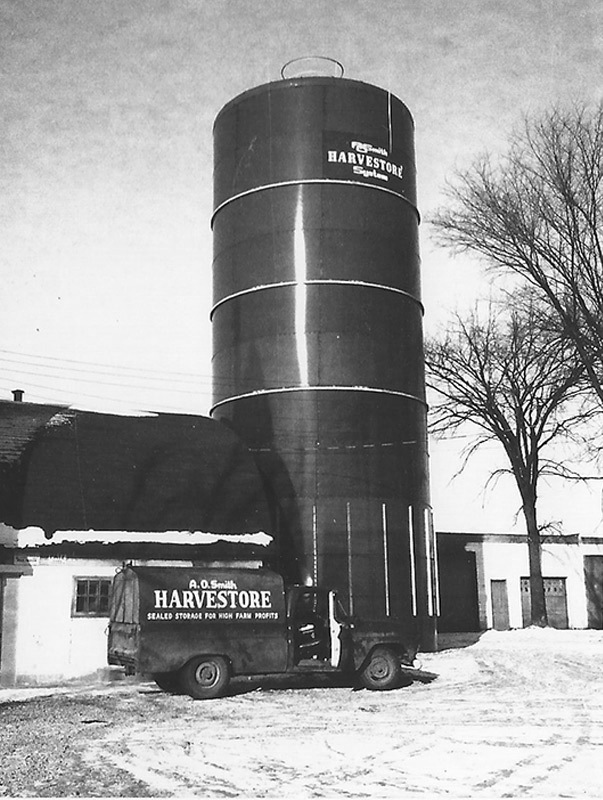 In 1986, Foxland Harvestore is believed to have erected more than 200 Harvestores in its territory. It’s also estimated that during the peak, there were more than 1700 operating Harvestores in Foxland Harvestore’s territory. Foxland Harvestore prided itself on representing outstanding products and backed it with even more outstanding service. As the agricultural industry and more specifically the dairy industry continued to evolve, Foxland Harvestore needed to adapt. Foxland Harvestore first expanded its business by starting Valley Building Systems, a building division specializing in design and construction of agricultural and commercial buildings. In the late 80’s, Foxland Harvestore’s next significant expansion was to acquire a milking equipment dealership by the name of Valley Dairy Equipment. After successfully managing this business, it was sold ten years later so Foxland Harvestore could focus on a quickly changing and increasingly complex feed and manure handling marketplace. Foxland Harvestore partnered with Houle (GEA) and quickly became recognized as a leader in the manure handling industry. Product lines were also added to expand its feed handling capabilities during this time. In 2006, Joe Gries assumed a minority interest in the business and in 2012, he acquired the remaining shares. Under Mr. Gries’ leadership, the business continues to evolve. Between 2010 and 2015, 5 new product lines related to manure handling were added to Foxland Harvestore’s line up. As the landscape of agricultural dealerships changed, in 2010 Foxland Harvestore made significant territorial expansions to include Eastern, Central Wisconsin and Michigan’s Upper Peninsula. Valley Building Systems also benefited from this expansion and this became a significant period of growth for both businesses. In 2016, Foxland Harvestore moved its headquarters from Little Chute to Kaukauna to accommodate its growth. Foxland Harvestore also broke ground in Stratford, WI on a new building in late 2016 with an expected move in date of July 2017. Since Foxland Harvestore opened their doors in the mid-seventies the premise of providing great products backed by great service remains the same. Foxland Harvestore is committed to remaining a leader in the agricultural industry and helping its customers solve some of its most complex issues.